Many of us rely heavily on Heart Rate (HR) to set our zones and train. But there is another metric, Muscle Oxygen Saturation, that can provide more detailed, real-time insight into performance. There are many limitations when training with heart rate that monitoring SmO2 does not have. Not only can SmO2 be localized to specific muscles (unlike heart rate, which is a systemic measurement), but it gives measurements in real-time. This allows athletes to understand exactly when the body switches from aerobic to anaerobic during an interval, and the exact pace and duration at which that interval is most effective. Quite simply, muscle oxygen saturation (SmO2) is the balance between oxygen delivery and oxygen consumption in the muscles. During exercise, your muscles are working harder, increasing demand for oxygen. As a result, your heart rate is elevated and breathing increases to supply more oxygen to the working muscles. Oxygen is then used to oxidize any available glucose into adenosine triphosphate (ATP) to provide energy. As intensity increases, your body is no longer able to meet your muscles’ oxygen demands and glucose is converted into lactate. You are switching from working aerobically to anaerobically, which can only be sustained for a limited amount of time. This is why lactate threshold blood testing has become one of the most commonly used indicators of performance; lactate is an indirect measurement of how efficiently your muscles are using oxygen. Monitoring SmO2 was previously only available using expensive bench-top lab equipment but with the advent of wearables is now accessible to all of us endurance athletes. The Moxy Monitor, the BSXInsight and the Humon Hex are examples of these new real-time SmO2 devices. The Hex was used to record all of the data used in this article. When training at aerobic intensities, the goal is to train oxygen-dependent energy systems (i.e. aerobic respiration). 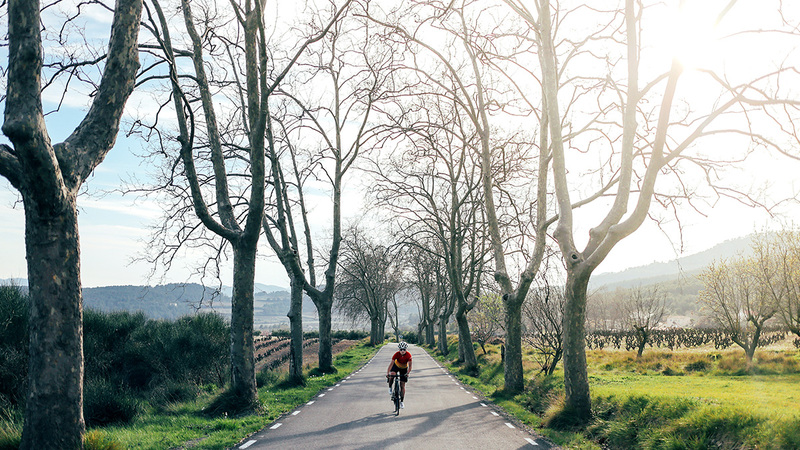 At these lower intensities, the training duration can be much longer (such as long endurance rides or long, slow distance (LSD) runs). Generally at these efforts, the metabolic demand for oxygen is lower or equal to what is inspired. For example, look at Figure 1. Figure 1: Running at endurance pace. In this example, this athlete performed at 5 k form-focused run with a threshold push during the last kilometer. The traces depicted are run power (yellow) HR (Red), SmO2 (purple), and pace (blue). After the warm-up period, the athlete ran a 5 km form-focused Tempo run. As the pace stays consistent within the Tempo pacing range, SmO2 was linear as HR rose, but stayed within the Tempo HR range. This shows oxygen supply is at equilibrium with demand during that effort. Towards the end of the workout, the athlete ran a 1 km supra-threshold effort. Here, we can see a significant divergence in HR and SmO2. This means muscle oxygen consumption was greater than the oxygen being supplied, meaning an unsustainable (anaerobic) effort (as shown in Figure 2).. This divergence also highlights a limitation of monitoring intensity with HR, since it gives no indication that the athlete is training at an unsustainable effort. The takeaway from Case Study #1 is that during endurance intensities, muscle oxygenation will be at a steady state. This also shows that monitoring muscle oxygen is an excellent way to monitor workout intensities. Intensities at threshold increase the body’s metabolic demand. Significant changes, such as a decrease in the body’s pH; increases in core temperature; and increases in CO2 concentrations occur at higher intensities. These changes affect the body’s ability to produce ATP through aerobic respiration. Monitoring changes in SmO2 will demonstrate this and help optimize and improve your interval workouts. Figure 2: Cycling threshold effort. In this example, this athlete performed 2×20 min Z4 efforts. The traces depicted are power (yellow), HR (red), SmO2 (purple), and cadence (green). As shown in Figure 2, the athlete performed 2×20 min Z4 efforts on the bike. During the first interval, HR increased as the power effort and SmO2 remained consistent. However, the dynamic changed during the second interval even though it was at the same power as the first. This is a result of muscle fatigue late into the workout. SmO2 began to decrease almost immediately as the interval began. This drop in SmO2 shows the muscle’s oxygen demand was greater than what was supplied indicating an unsustainable effort, which also results in lactate formation. This resulted in the athlete’s inability to complete the second interval. Figure 3: Cycling Anaerobic Capacity intervals. The traces depicted are power (yellow), HR (red), and SmO2, which is shown by Humon’s real-time training zone colors (red, orange, green and blue). In Figure 3, an athlete performed three sets of anaerobic capacity (AC) intervals at three different durations. During each interval, denoted by the change in power, SmO2 drops significantly. The general principle to explain this is that ATP demand for these efforts outpaces the muscle’s ability to produce ATP anaerobically. After each interval, you can see that the athlete’s SmO2 increases as soon as they reduce intensity, and oxygen supply becomes once again greater than the demand. By knowing the point at which your (or your athlete’s) SmO2 drops low enough to cause fatigue, you can guide pacing at these training intensities. You can also gauge when muscles are fatiguing at the end of a workout, and adjust intensity to minimize the chances of injury due to overtraining. During the workout in Figure #3, the athlete was wearing a Humon Hex SmO2 sensor, with the Humon Hex Connect IQ data field installed on their Garmin device. Humon created the easy-to-read colored training zones you can see in Figure 3, and they’ll also appear on your Garmin display to help you understand your SmO2 status in realtime. When using this data field, SmO2, Humon Hex zones, and all of your other regular data will sync to TrainingPeaks and WKO for post-workout analysis. WKO in particular contains over 20 preconfigured charts and reports to give you a closer look at SmO2 data in relation to other data such as power, heart rate, VO2, etc. 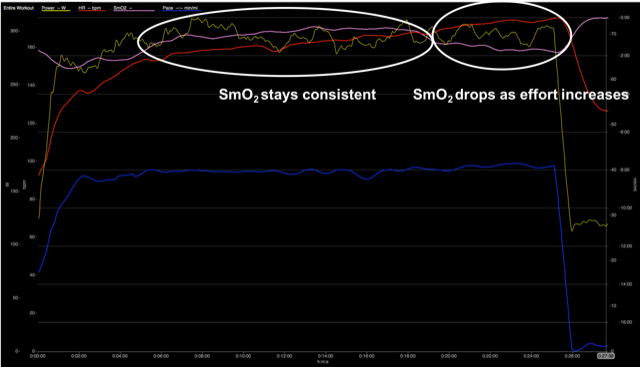 SmO2 monitoring has many other use cases starting with an optimized warm-up and ending with the proper recovery. One of the most valuable ways to use SmO2 is to determine your lactate threshold without having to complete an invasive lab test where blood needs to be drawn. SmO2 devices provide vital insights into how muscles are exerting during training that are not provided by other metrics. In addition, it can be used to compliment other metrics to give a clearer picture during training. At endurance and threshold intensities, SmO2 devices provide significant information for pacing. Using this device for, but not limited to, time trialing, triathlons, and running can better assist in formulating a maximal pacing strategy. Chris Myers is a research physiologist with the US Navy. He received his PhD in exercise physiology from the Florida State University Department of Nutrition, Food, and Exercise Sciences. He obtained his Bachelor’s degree from the United States Military Academy in 2004. Furthermore, he received his Clinical Exercise Physiology Master of Science degree from the University of Louisiana at Monroe. 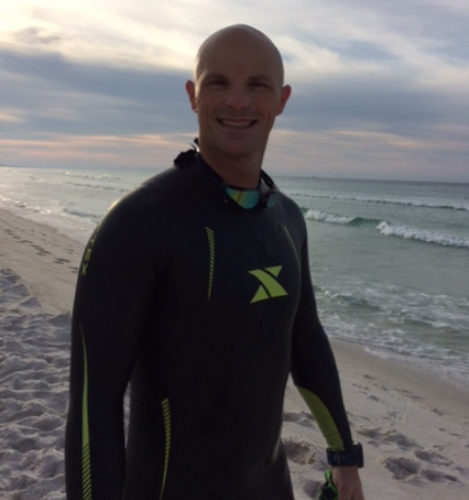 Chris is a Master Cycling and Triathlon coach with Peaks Coaching Group in Bedford, VA. He is a certified USA Swimming Level 2 Coach. Additionally, he holds an USA Cycling Level 1 and USA Triathlon Level 1 Coach certification and is a certified sports nutritionist through the International Society of Sports Nutritionists.